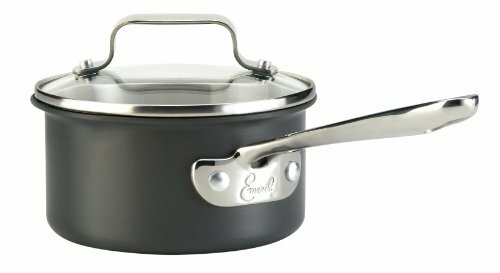 Emeril Hard Anodized Cookware is perfect for all home and professional cooks. The interior is brushed with Emeril’s patented triple-layer PFOA-free nonstick coating, which makes cleaning and maintenance simple. 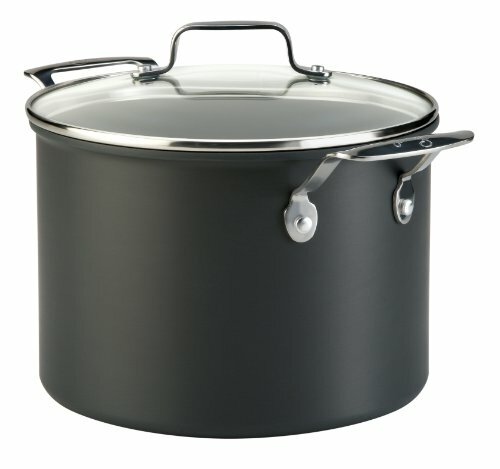 The hard anodized aluminum has also been designed to heat evenly to ensure no hot-spots when cooking. 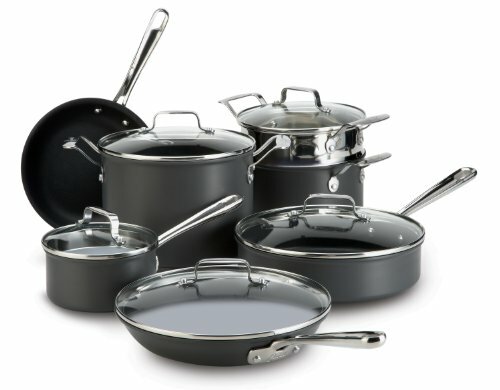 Additionally, the pots and pans come with Emeril’s signature long handles, which have been designed for your maximum comfort and remain cool to the touch at even the hottest stovetop cooking temperatures. The professional style handle has been ergonomically designed for balance, control and comfort. The handle is permanently attached with stainless steel rivets. Tempered glass lids allow cooks to monitor the cooking progress. 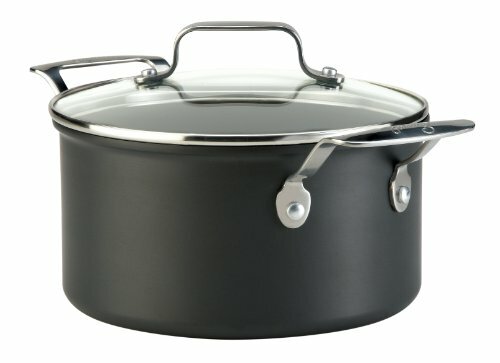 Glass lids are oven safe to 350 degree F. Emeril Hard Anodized cookware is oven safe to 450 degree F. Scratch-resistant and easy-to-clean polished Hard Anodized aluminum exterior surface offers durability. 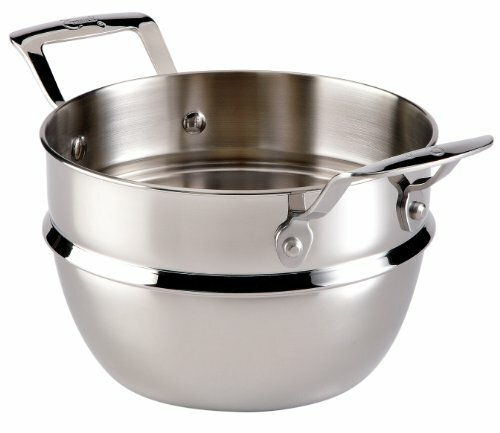 The inside nonstick surface is PFOA Free and Cadmium Free. Life time warranty is provided. Please note the difference in oven temperatures for the glass lids versus the cookware itself. I give kudos to Emeril for coming out with a PFOA free nonstick surface.